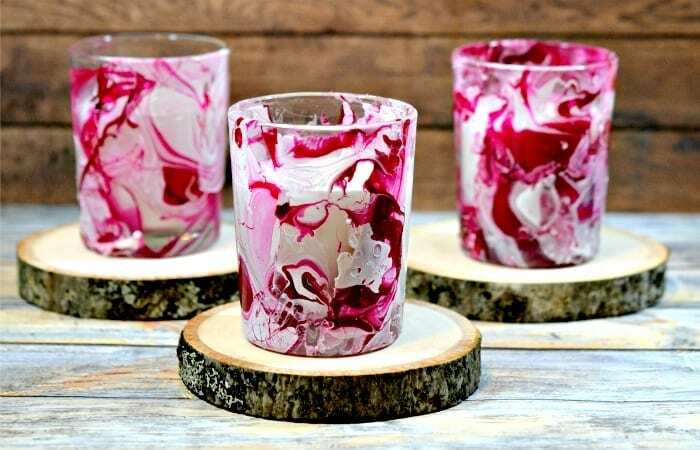 These Marble Votive Candle Holders are probably the simplest little DIY project you will ever complete. But they look so cute when they’re done that it will be hard for you to decide if you want to give them as gifts or keep them for yourself! 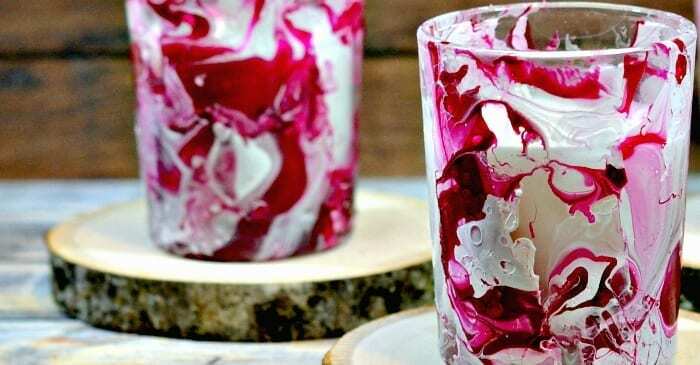 If you can bear giving them away, they make great presents for friends and family, especially when you get the little ones to help you make them! Fill the bowl with warm water and slowly pour in the first color of nail polish. You want to pour it pretty close to the water’s edge so that the drops don’t sink to the bottom. 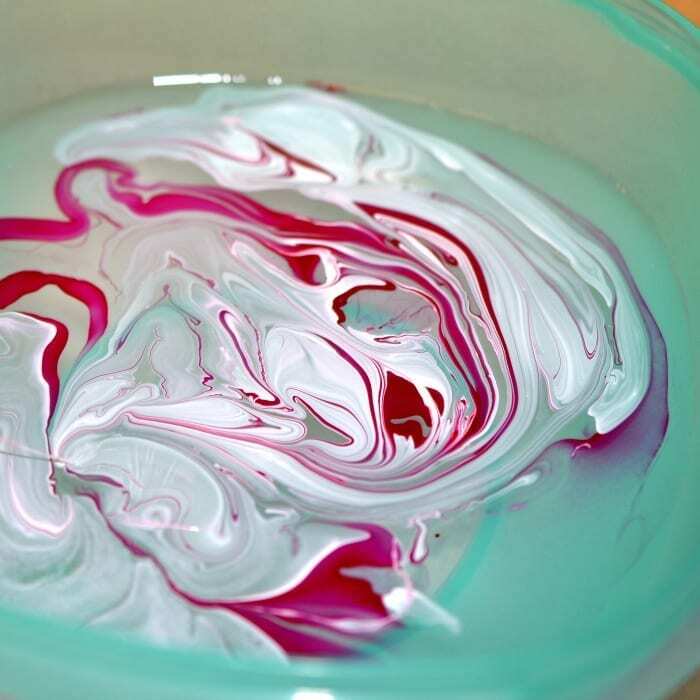 Repeat the process with the rest of your nail polish colors, then use a toothpick to swirl the colors together. 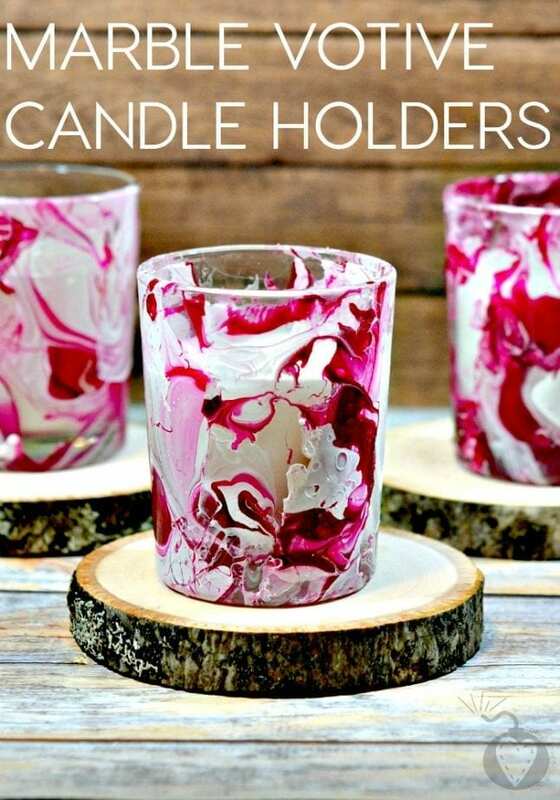 Dip the candle holder at an angle into the water – you don’t need to submerge it, you just want the nail polish to cling to it. When you’re satisfied with how it looks, set the candle holder upside down on the wax paper to dry.